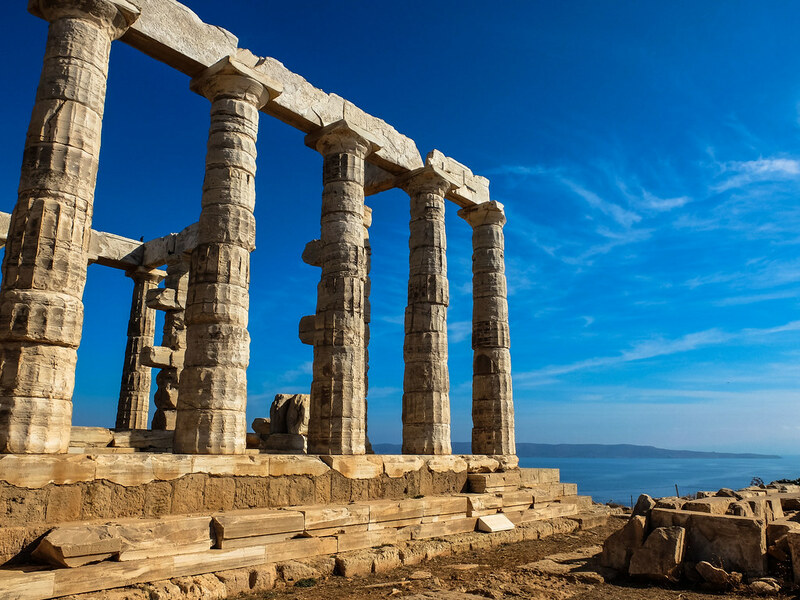 Easily the best half-day trip away out of Athens is a visit to the beautiful Temple of Poseidon perched on top of the cliff of Attica’s southernmost tip, the Cape Sounion. 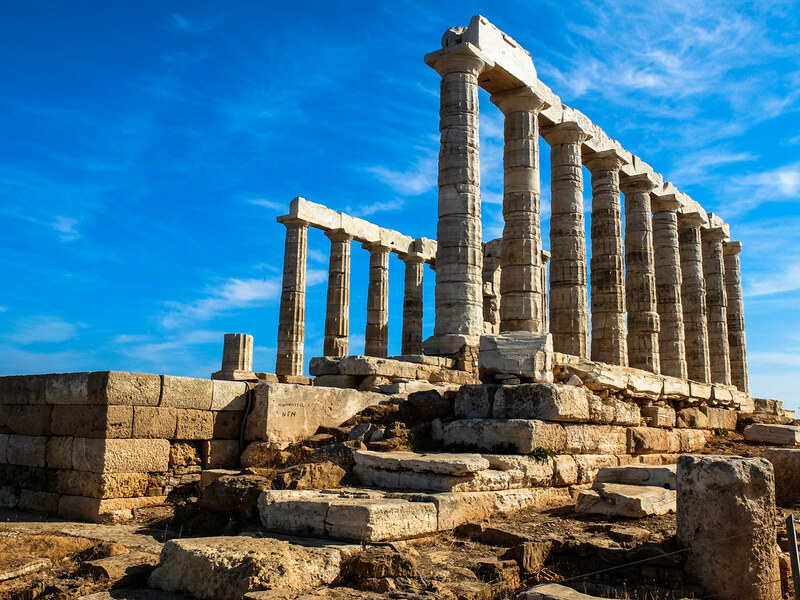 Located 70km southeast of Athens, a trip to see the Temple of Poseidon is the most popular tours taken by visitors looking for a mini-excursion away from the city. Shop around at any travel agents in Syntagma Square for recommended things to do, the post-card perfect image of the temple as the sun goes down is their selling point and believe them when they said that the approximately 2-hour bus trip it is worth it, for the view of the Ancient Temple meeting the blue Aegean Sea is everything anyone imagine Greece is all about. For those who wants to shy away from the usual tour groups and wants to D.I.Y, from my personal experience alone, I would say it is easily doable. 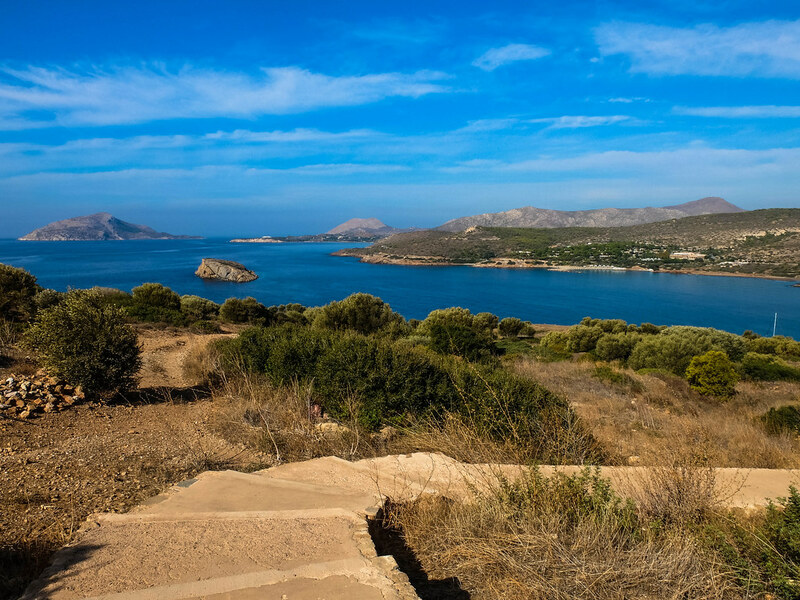 A tour will set you back around 50 Euro but a bus ride using the public transport- KTEL Attica Bus Service will only cost you 12 Euro for a return trip. 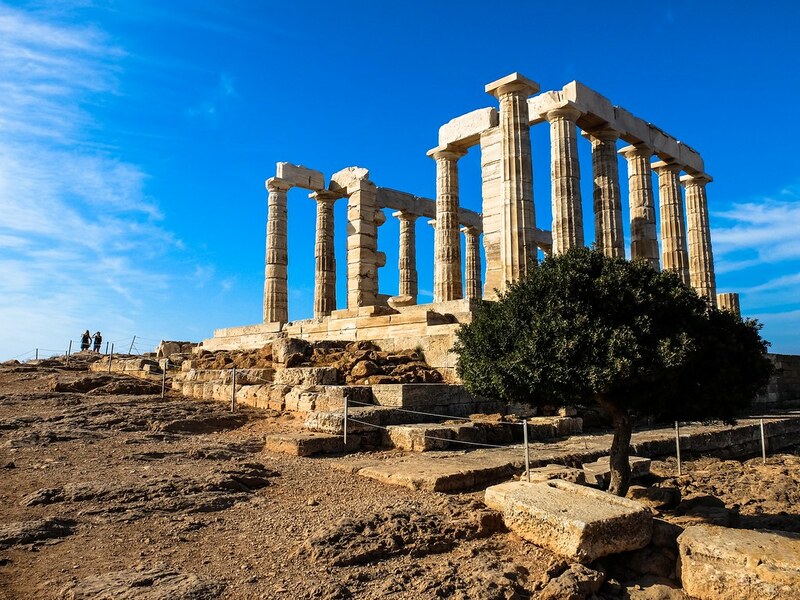 I had a hard time looking for a more recent and reliable information on the internet , let say for example as to where should I go to take the bus , luckily, the Tourist Information Desk near the Acropolis is quite helpful. I almost consider taking the tour to avoid all the hassle but the gentleman at the information desk reassured me that venturing out on my own is the best way to do it. 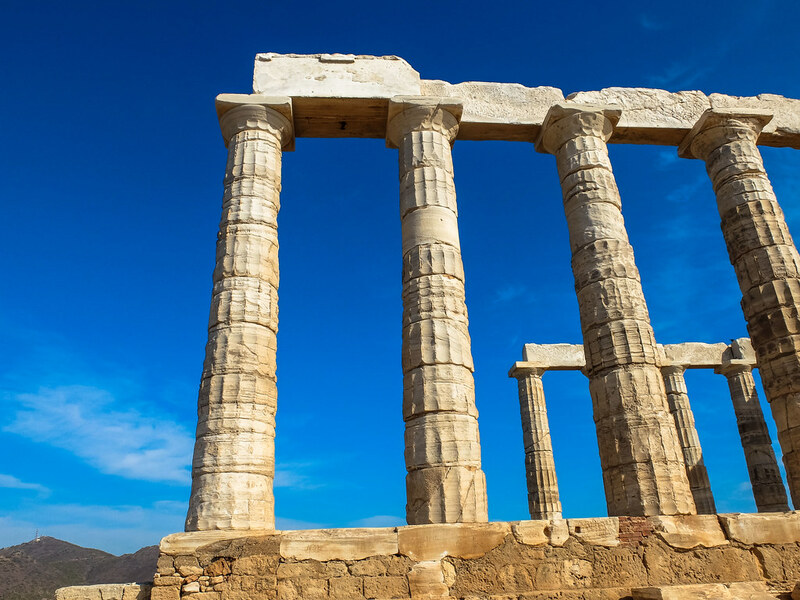 He gave me the bus timetable and recommended that I take the metro from Acropolis to Sygrou-Fix Station and look for the KTEL Bus Stop outside the station. 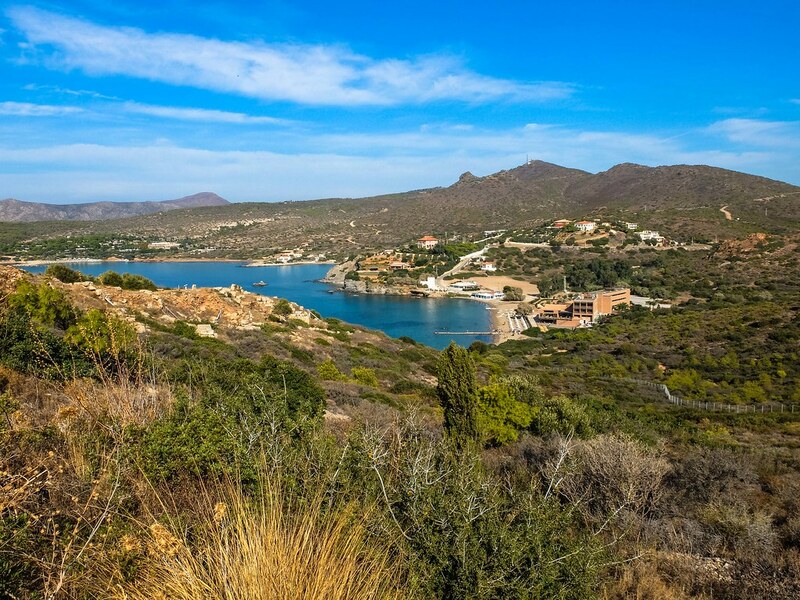 I was lost for a while looking for the correct Sounio bus stop, but after asking around I was instructed to cross the street and look for the Sounio stop in front of a bank. I finally managed to locate the waiting area and after a few minutes and right on schedule, the blue bus arrived. The bus is comfortable, the driver and his assistant are both nice, assisting tourist on their usual question. 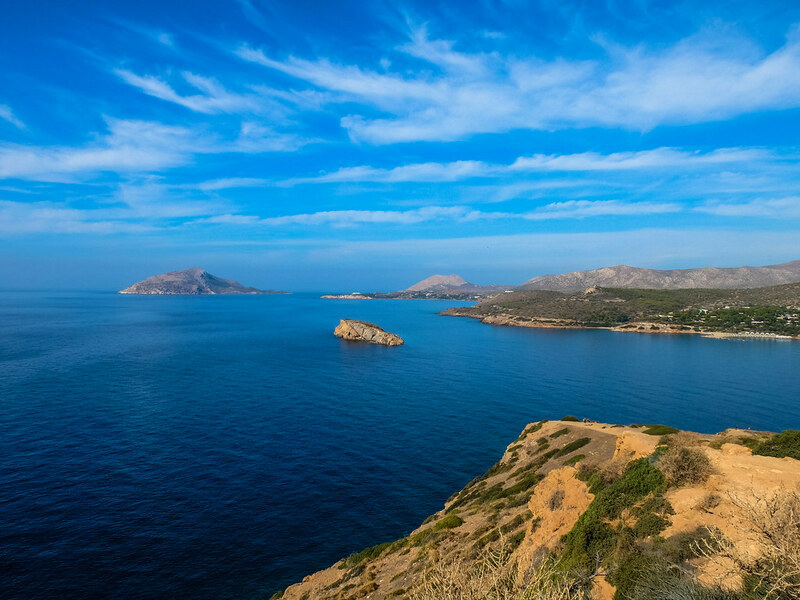 The journey to Cape Sounion is wonderful, taking the scenic ocean route passing by various seaside towns of Glyfada, Voula, Lagonisi, Saronida, Anavyssos and Legrena. 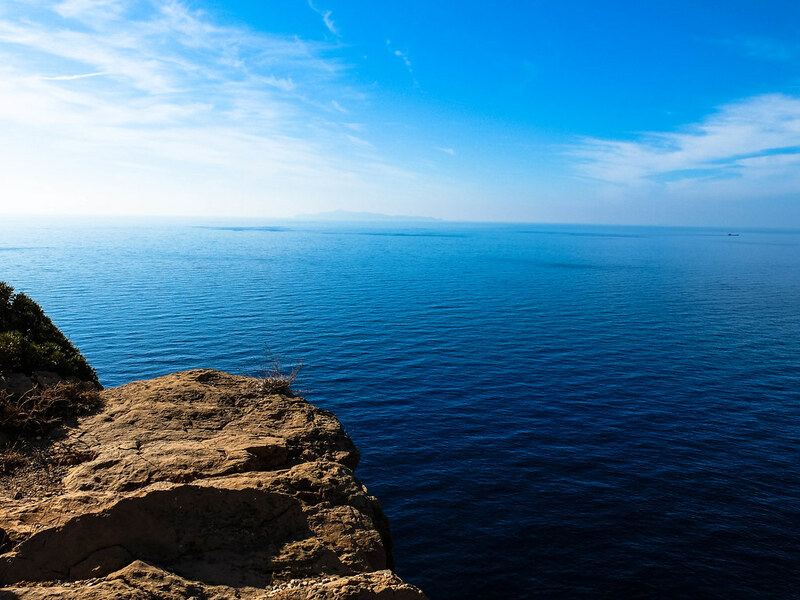 You will not get bored on the journey, just sit at the window side, admire the beautiful Aegean coast and bit of daydreaming is all you need. 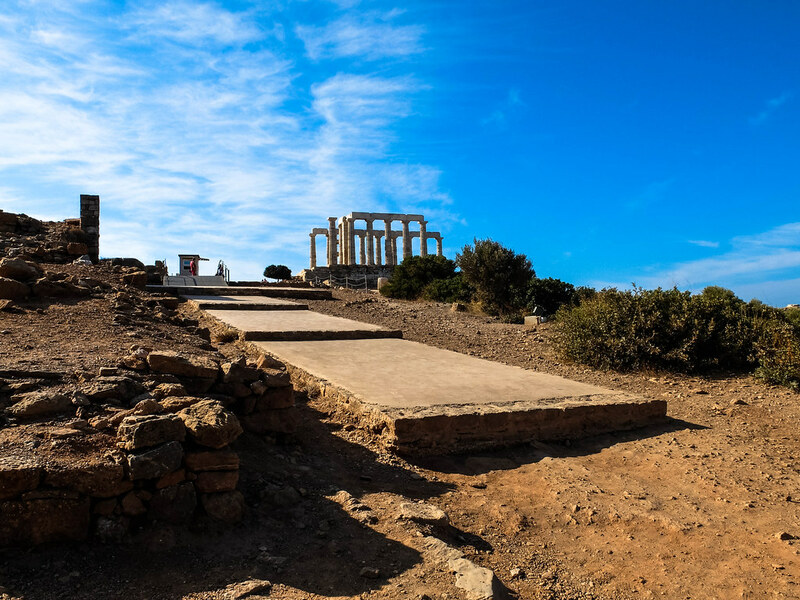 From afar, you can already see the Temple of Poseidon, but as you get closer and closer, you will feel nothing but immense satisfaction of knowing that you made the right decision to journey to Cape Sounion. 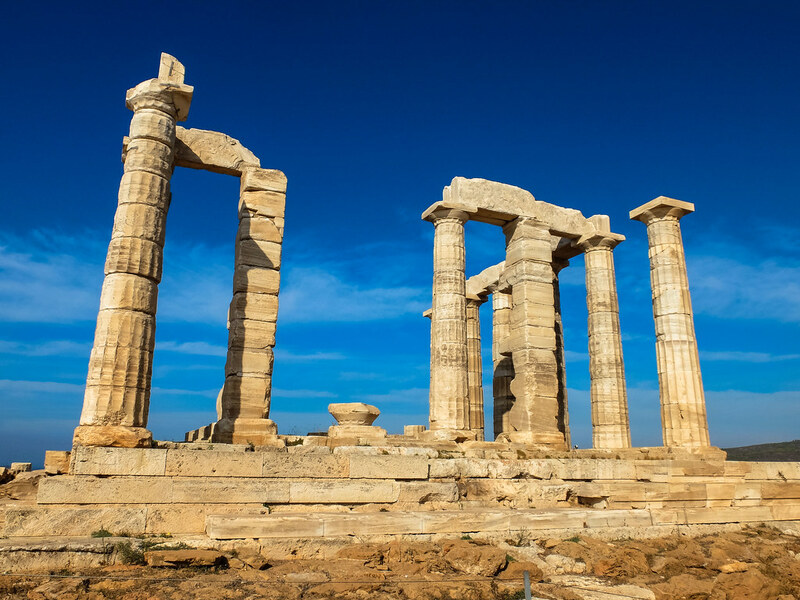 The image of the temple against the blue horizon where the sea and the sky meets, I would say is an image that makes Athens worth visiting. 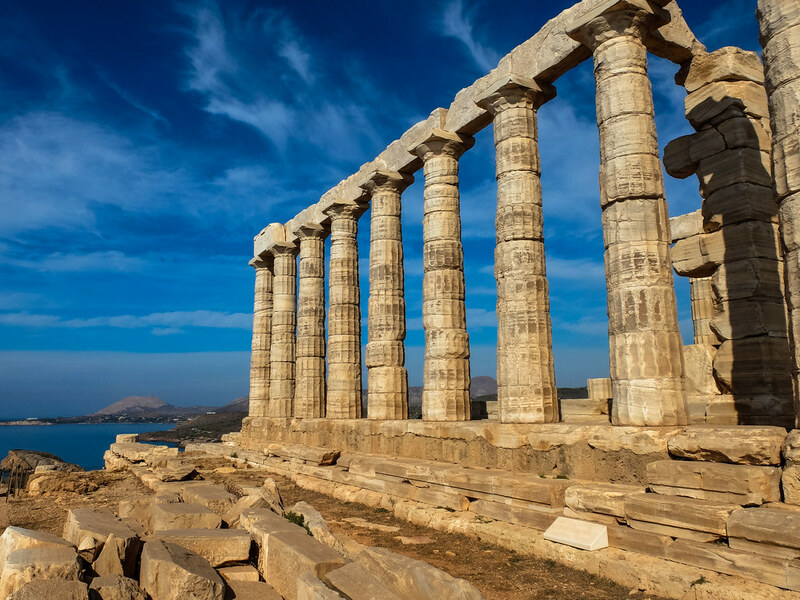 I enjoy my time more in the Temple of Poseidon than the Acropolis, perhaps the fresh air and the open sea plus the lack of the crowd makes all the difference. 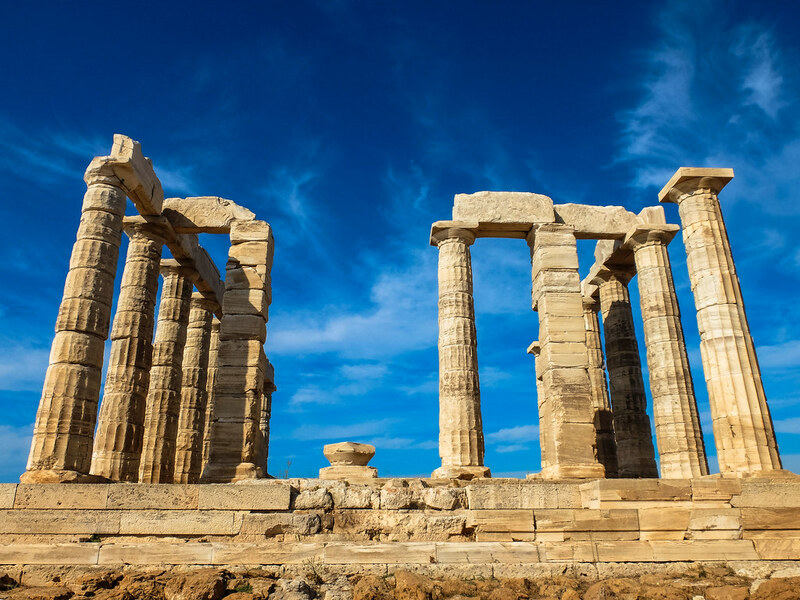 Built in 444 B.C, the temple is dedicated to Poseidon, the God of the Sea and other waters. 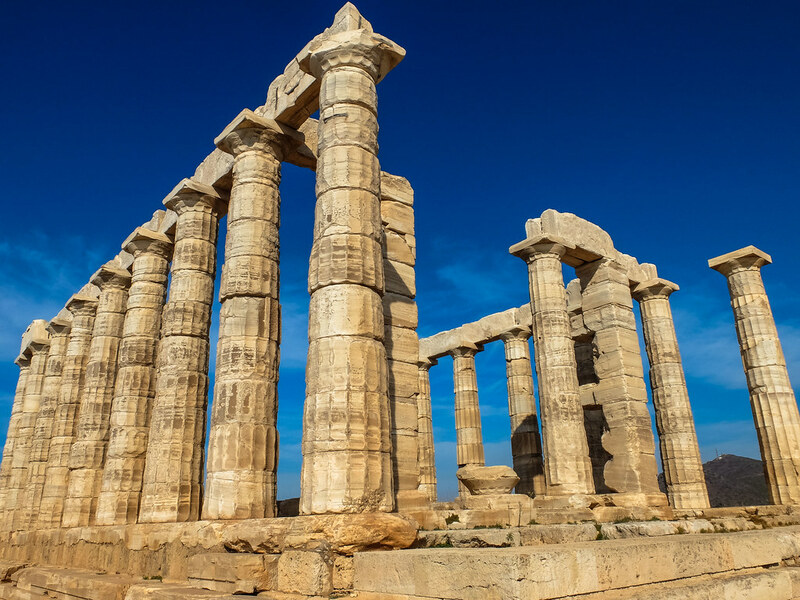 Like a lighthouse, the white marble Doric columns of the temple is the last image ancient seafarers see when they sailed away into the Mediterranean sea and the first thing that welcomes them on their way back home. 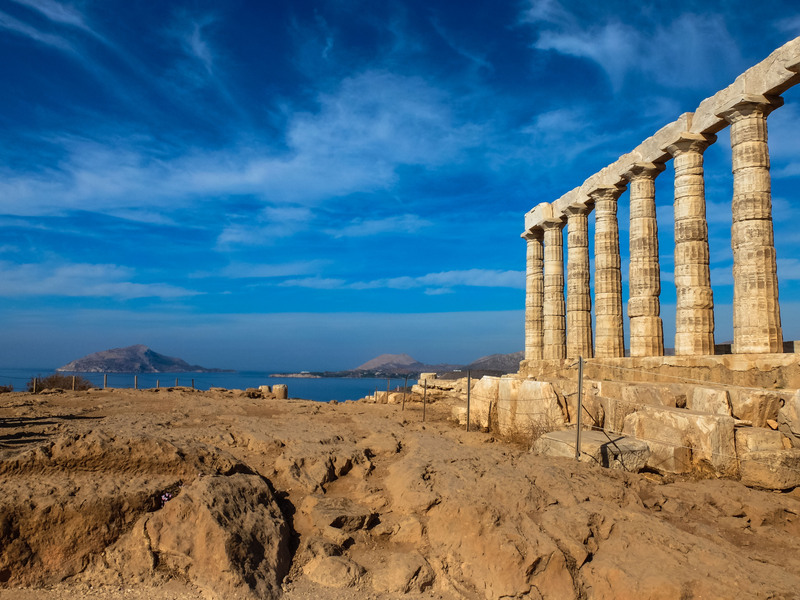 The temple is open from 9am until sunset, with an entrance fee of 8 Euro for Adult. 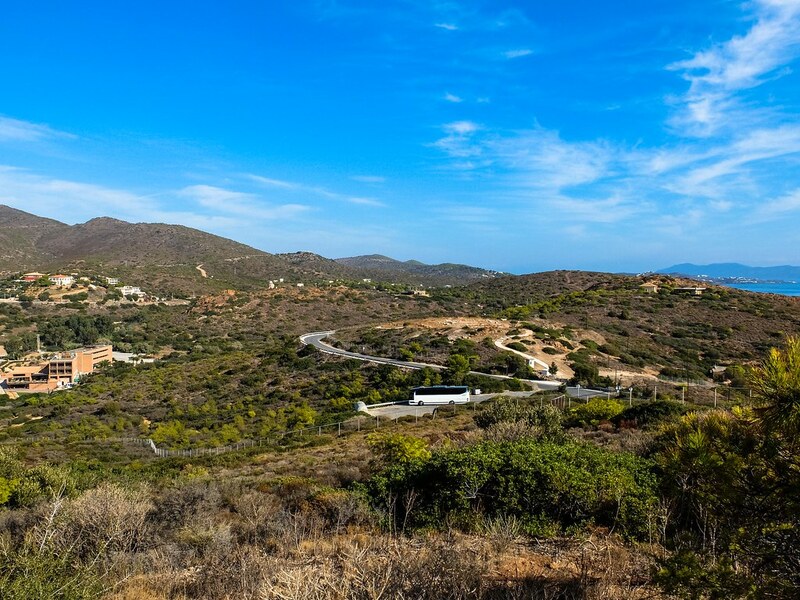 There is a small cafe at the entrance and a walk downhill connecting to the seaside resort. The KTEL bus stop back to Athens is just near the cafe, with hourly departures as well, I ended up taking the same bus going back to Athens, the driver and his assistant recognize me immediately as there is not much tourist midday, I assume everyone is reserving their visit for the sunset. 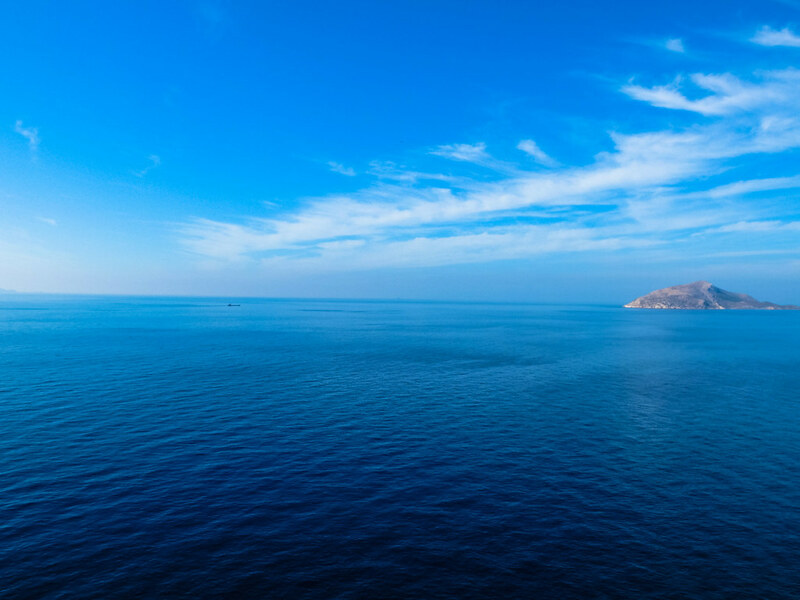 The journey back to Athens take the same seaside scenic route, I did the same thing to pass the time- sit by window side, admire the Aegean Sea and daydream.